With our older-age-population continually on the rise and increasingly impoverished, and with related aging issues and illnesses swelling at an even greater clip, the United States is fast becoming dependent on unpaid family caregivers to look after our loved ones. Poverty among our seniors: Our elderly family members find themselves grossly under-funded in their retirement and therefore dependent on family caregivers. According to the National Council on Aging, more than 25 million Americans aged 60+ are living below 250% of the federal poverty level (the FPL for a single person in 2017 is $13,860). 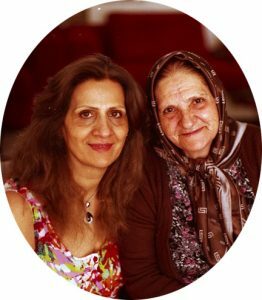 Those receiving assistance: 80% of elderly people receiving assistance, including many with several functional physical and/or mental limitations, live in private homes in the community, i.e. not in institutions. The disabled: 66% of older people with disabilities who receive Medicaid Long-Term Services and Support (LTSS) at home get all their care exclusively from their family caregiver, mostly spouses and daughters. Caring for an older relative: The American population of spouse and adult children caregivers is nearly 70 million strong. According to the Pew Research Center, over one half of those are adult children caring for an elderly parent, and almost one quarter (24%) are those assisting aging spouses. Older Americans with dementia: Caregivers of patients with dementia constitute more than 55% of all caregivers, with the cost of healthcare associated with Alzheimer’s alone set to exceed $1 trillion by 2020. Family caregivers and health issues: A little over 50% of all family caregivers care for a family member with Alzheimer’s (AD) and another 23% assisting persons with other dementias. Parkinson’s disease (PD) and heart-issues (including strokes) come next among the health issues that concern family caregivers. When a spouse (24% of all family caregivers), or an adult child (60%) quit their job in order to devote themselves to the care of a family member, many make often-ignored financial sacrifices beyond lost wages (e.g. pensions or (401)k’s, social security benefits, and other perks). 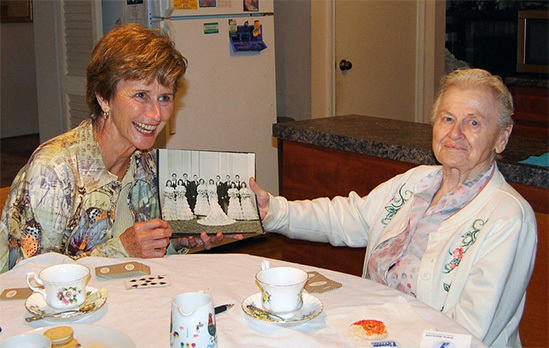 Also referred to as a personal care agreement, or elder care contract, a caregiver contract is a formal agreement, usually among family members, to provide that the person providing care to a loved one be compensated, particularly if he or she has to let go of a job so as to care for the elderly parent or relative. Shedding clarity over caregiving functions: The care recipient may be a person of means, perhaps from a lifetime of productive work, or from other sources. Instead of family members arguing over expenditures that could affect what they might ultimately inherit, or receive as gifts, this type of contract does not leave any ambiguity when it comes to compensating the family caregiver. Families pooling resources: Family members may also, on occasion, wish to pool resources to pay for one member of the family to devote themselves to the care of a loved one. This type of contract delineates the terms and tasks to be performed, once again shedding clarity on an issue that may otherwise pit one family member against another. Relationships with outside payers: There are also times when the care recipient would be reimbursed for long-term care expenditures by an outside entity such as a long-term care insurance company, worker’s compensation, the Veterans Administration (VA), or some Medicaid program. In all of those cases, a caregiver contract would pave the way for the family caregiver to be formally recognized and compensated. It is recommended that you let an elder law attorney help you draft such a contract. You can find the attorney that best meets your requirements at the National Academy of Elder Law Attorneys. Post-9/11 program: The VA offers its eligible vets a variety of supportive health and financial programs. 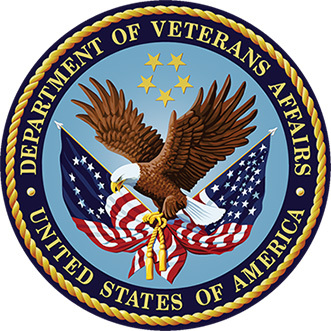 The program of interest in this context is called the Veteran Directed Home and Community-Based Services (VD-HCBS) that specifically pays family members to act as caregivers for a home-based loved one. The program allows vets to choose their own care providers instead of receiving the care at VA facilities. Eligible care recipients must receive the care in their homes, in their caregiver’s home, or in independent living communities of the type that do not offer care support (i.e. assistance with activities of daily living, such as eating, bathing and walking). Eligibility under this law that passed in 2010 is limited to veterans who were injured in a military conflict after September 11, 2001. Together with a VA advisor, the vet must develop a comprehensive “Care Plan” with budgets, care tasks needed, and details about the family caregiver. The Care Plan may then need several modifications before it is ultimately approved. The vet can then hire a caregiver and obtain other supplies like wheelchairs, special beds, oxygen supplies, etc. Finally, the administering agency, which differs in each state, sets up check or other forms of payments for all pre-approved services and supplies, including home care. Other benefits also apply, including traveling expenses, mental health services (greatly in demand by Post Traumatic Stress Disorder -PTSD- and other mental health patients), and respite care for 30 days per year (to give the primary family caregiver time off). For more information, call 1-877-222-VETS (ext. 8387). This is another way for you to get paid for taking care of your family member, as long as the state you live in has a Medicaid-type program that suits your needs and for which your loved one could qualify. 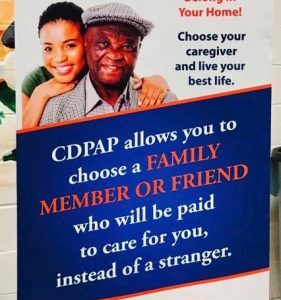 CDPAP (Consumer Directed Personal Assistance Program) is a Medicaid-funded program that allows care recipients to hire almost any caregiver they choose, including the family member who is currently providing the care. 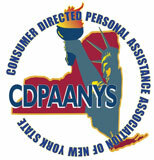 A sister program is CDPAS – Consumer Directed Personal Assistance Services. This decides on the type of services you need, for example, assistance with companionship and/or activities of daily living. As far as you are concerned, the two programs are in essence the same. To be eligible, your loved one must already be in the Medicaid program, need home care, and either be in charge of their own affairs or have a designated representative, i.e. someone with a power of attorney, advance health directive, or be otherwise empowered to make decisions on the patient’s behalf regarding how their home care services are provided. The care recipient tell his or her plan about the request for CDPAP services and have a doctor sign off that he or she needs home care. And their caregiver (family or friend) must provide evidence that they are legal to work in the U.S. and get a physical and bloodwork done showing that they are healthy enough to care for a patient. When successful, your loved one will be allotted a certain number of hours per week, depending on their overall physical and mental health conditions. You, the caregiver, will receive a paycheck based on an hourly pay rate for each hour worked servicing the patient. This program is not very complicated, and for the forms, as well as more detailed information, you can visit the program here. ‍To recap, many states have programs that pay family or a friend to serve as a caregiver, although searching for them and then helping them get qualified can be daunting. Medicaid (or Cash and Counselling Programs): Medicaid offers a variety of programs that aim at assisting with long-term in-home or in-community care, meal deliveries, and day care centers so that care recipients may get home-based rather than institutional help.To get you started with your research, contact the Eldercare Locator at 1-800-677-1116 or go to a good starting point for Medicaid Home Attendant Services. This national program caters for people with disabilities (including the aging population) with objectives that are similar to the above-described Medicaid-type programs. Here is a link to that National Resource Center. If the policy requires the in-home care to be performed by a licensed home care agency, then you and your family member can contact your nearest home care agency. They will welcome you both with open arms, your loved one as their latest client, paid by the insurer, and you as their latest caregiver, paid by the agency. This arrangement is ideal for the home care agency since it adds to their revenues without any additional staffing effort. If the policy is not limited to licensed home care agencies, then a caregiver contract would serve you well. You would still need to negotiate with the insurance carrier, based on your caregiver contract. If you don’t have such a contract, then develop one, stipulating that you as the caregiver would be paid as much as a home care agency non-certified nursing assistant is paid. By the way, using a home care agency is something to contemplate in all cases where your loved one is being reimbursed for long-term care expenditures. For example, the Worker’s Compensation (or a court) may be reimbursing for a work-related injury that your loved one may have sustained. Not only are you perhaps not being paid to take care of your family member, but you may also be using your personal savings for expenditures relating to your loved one’s home modifications, transportation, food, assistive devices, medical supplies, and more. According to the AARP (membership association for people 50+ years of age – it has tens of millions members), family caregivers spent $7,000 in 2016, on average, for their loved one’s needs apart from the actual caregiving. The IRS Tax Credit: the IRS’s Credit for Caring Act gives eligible family caregivers the opportunity to obtain a tax credit equal to 30% of expenditures outlaid on behalf of their loved one in excess of $2,000 a year, up to a maximum credit of $3,000 a year. For more information on tax credits, here is a link to the AARP. The statistic that struck us from the opening “background” section was the fact that the vast majority of family caregivers care for persons with Alzheimer’s or other types of dementia. Anyone who knows anything about caring for a family member with dementia knows only too well how overwhelming and totally immersing that can be. As a family caregiver, irrespective of what your loved one suffers from, you take on enormous open-ended responsibilities that are stressful, often financially devastating, and always disruptive when it comes to your own personal growth and well-being. The least that you can do is look for ways to at least get compensated for a portion of the time, effort and expenses you lay out on behalf of your loved one. We therefore sincerely hope that some of the venues we described in this article prove appropriate for your circumstances and useful to you receiving compensation for what you do.